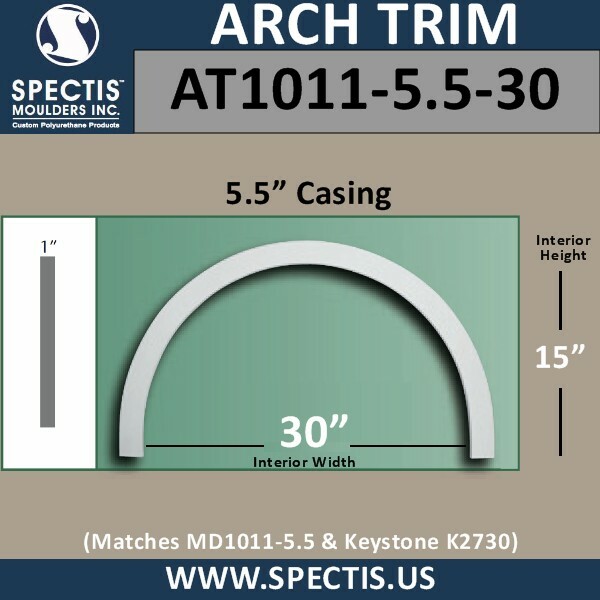 Spectis Moulding Arch Trim products for new construction and remodeling jobs. Spectis manufactures great high density polyurethane products that are superior to Fypon. Spectis Architectural primed high density foam trim molds are a great way to decorate any space you own. Spectis also can custom make just about any mold you dream of. Spectis products have been used on "This Old House". All of the spectis products come primed and ready to install for interior and exterior use on ceilings, walls and floors. If you have any concerns please don't hesitate to call us at 1-877-692-9125 Ext. 3.